Sullivan County's Award Winning Design Build Firm-Best of Houzz! REEF designs and builds exceptional custom homes in every town across Cape Cod. 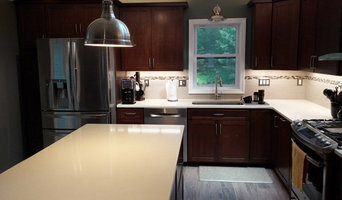 In our 32 years of business we have built over 1,500 homes, major renovations and addition projects on Cape Cod, enjoying a BBB A+ rating all the while. Our Customers appreciate our professional approach, and turnkey service. Our design team listens and then creates spaces just for you. Then we build your home with care, pride, and craftsmanship. If you are considering designing, building, renovating or adding on to your Cape Cod home, call the REEF Team today. You have been coming to the Cape your whole life, isn't it time you stayed? Call us any time, every day: 508-394-3090. Boston's Award Winning Design Build Firm Best of Houzz 2014-2018! Thomas Flynn, President of FLYNN High Performance, LLC, began providing home improvement and landscape services to Cape Cod homeowners in the 80's. Experienced in diagnosing recurring issues in buildings and fixing them in a way that the issue does not reoccur. Whether you need help solving complex issues, repairs, conversion of a unfinished space to living space or wish to updated out dated items or design something new, we are happy to provide home improvement, construction and/or landscape services.